The Community Council will repeat its programme of seagull egg substitution in an effort to reduce the aggressiveness of the adult birds. This programme is open to business and residential properties and is free of charge providing a valid registration is made i.e. an active nest is present during May when the substitutions are made. Details here. Polperro and Lansallos Parish Development Plan was successful at Referendum on 24th January 2019 with over 90% of votes cast in favour of its adoption. The policies in the NDP, formulated from input supplied by the residents of this parish will now carry great weight in deciding planning applications within the parish boundary. Many thanks to the dedicated team of Parish Councillors and residents of this Parish who put so much work in bringing this plan into being over the last three years and also to all residents of the parish who participated by providing input and feedback during the process and, of course, brought success with their votes. Formal notice of the result can be seen here. PCC’s Planning Application for the refurbishment of Big Green has been approved, with conditions, by Cornwall Council. This is clearly a major step vital step in the process but there remain many hurdles to overcome before work can commence. The conditions pertain to the site’s former use as a garage and the potential ground contamination which might be present from old fuel tanks. Studies will noe be commissioned to decide what contamination is present and devise a plan for its removal. Follow this link link to view the application. You will find Cornwall Council’s Decision Notice under the “Documents” tab. The Mobile Library Service visits Polperro on a Tuesday every four weeks, stopping at the lorry park in the village and outside the school at Brentfields. It is currently underused and, like all services these days, will be subject to review. If you want to see this service continued, it needs your support - use it or lose it! More details here. Please be aware the village streets are very narrow and visitors often get their vehicles stuck. Take notice of the advisory signs and use the car park at the entrance to the village to avoid such pitfalls. If you are using satellite navigation equipment, be aware that it may direct you off the main road and down into the village via a very steep and narrow hill. 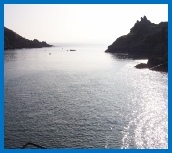 You are advised to stay on the main A387 road and switch off your navigation equipment as you approach Polperro.